Lyerr are a highly talented indie guitar band from Manchester. Combining sharp poetic observations, storytelling and melodic songwriting, their music echoes a range of some of the finest bands to come out of Manchester and other cities in the north of England. 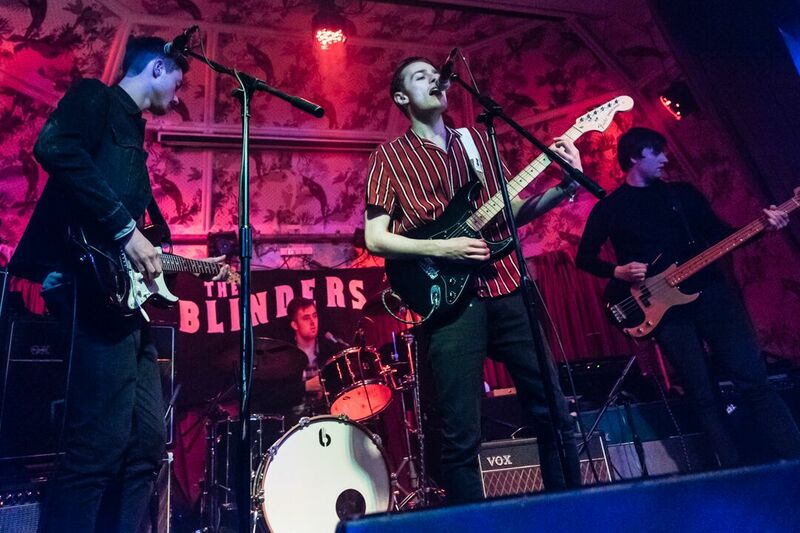 For a city with a musical legacy and history as widely documented, it is no wonder that every so often there happens to be a real buzz about the place when an exciting new band comes along. 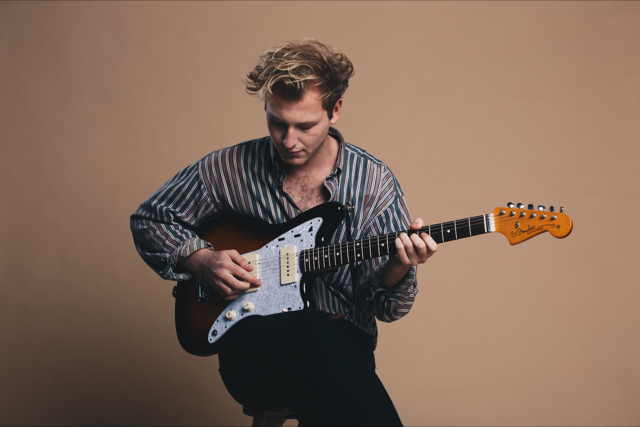 Released in 2017, Lyerr's debut EP In Principio , is a real gem of a song collection, which awoke early interest in the band, they picked up some ‘Best Of 2017’ tags and praise along the way. Produced by Alex Quinn (Blossoms), recorded at Liverpool's Parr Street Studios, In Principio is a great indicator of what the band are capable of and it also gives a fascinating insight into the world of Lyerr and the type of songs we can look forward to hearing more of in the near future. Being given the opportunity to work with really good producers almost right from the beginning is, of course, a good position to be in. 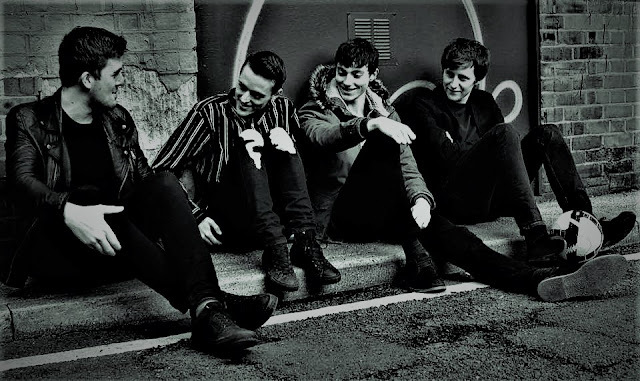 Samuel: we don't intentionally try and sound like any of the Manchester bands but we influenced by some of the really strong acts from around there. Lyerr have been getting to play some fine gigs slots. 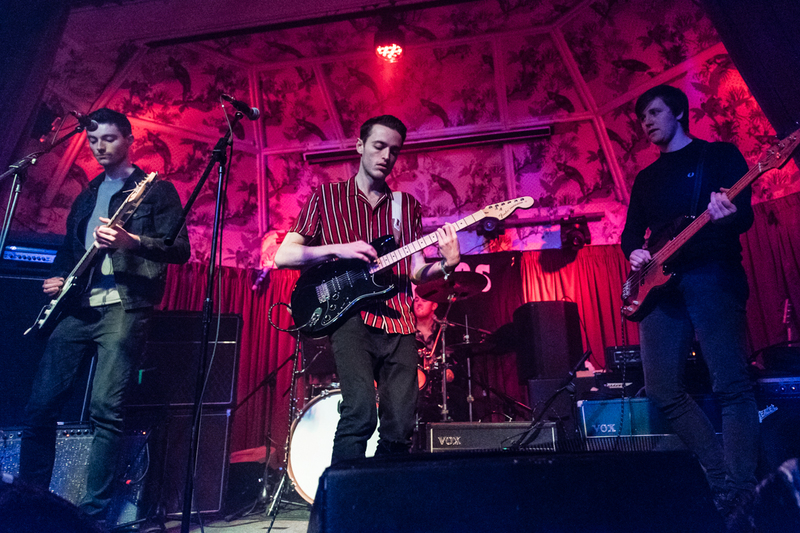 Most recently, just over a week go, this trend reached new heights when they played at The Deaf Institute in Manchester supporting The Blinders as part of the band's UK tour. 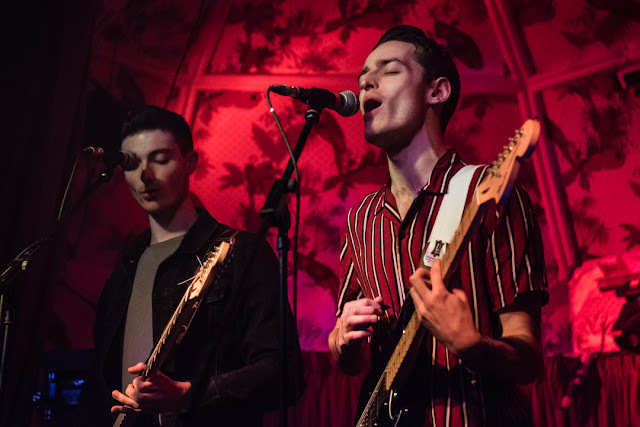 The support slot represented an exciting opportunity for Lyerr, who are due to support the 3-piece again next week, on Valentine's Day, when they play at the Record Junkee in Sheffield as part of the band's first extensive tour. Exciting times are definitely ahead. 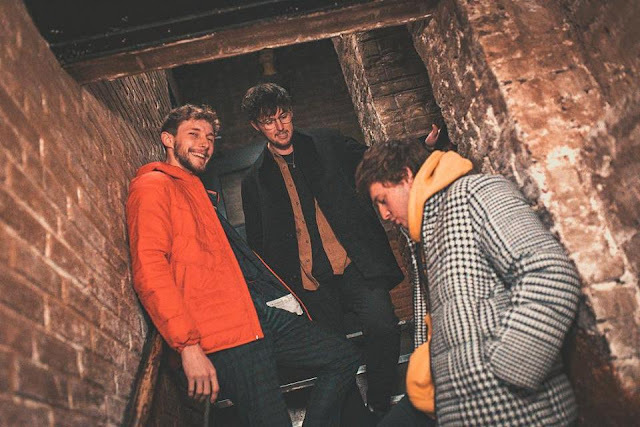 Being no strangers to playing live, Lyerr have recently played prestigious venues not only around Manchester, but in Sheffield and Leeds too and when it comes to their future aspirations, getting to play festivals and headline a tour is partly what they are aiming for. In terms of musical influences Ryan Johnson (vocals/guitar), Samuel Greene (guitar), Rory Magner (bass) and James Kershaw (drummer) are definitely drawing and building on Manchester's incredible past and presence. The likes of iconic bands such as The Smiths, The Stone Roses, Oasis and The Happy Mondays are never too distant, bearing in mind that Lyerr have their own unique sound, they use influences but they do their own thing with them. The Arctic Monkeys are also an influence on the band and lyrics play a key part. Samuel: we have always loved The Arctic Monkeys because of our age they are probably one of the main bands we have listened to. We have a song called Will You Be Alright which I feel is quite similar in terms of the guitar sound. But still our music does not sound like them, we do not sound like anyone in particular. Lyerr's songs offer a lot of variety when it comes to lyrics but also with pace and the general vibe of each song differs too. The band members very much go with the feedback they get from their followers. Their song Belladonna has become a favourite although at first they could not have predicted that. Ryan: we had had Belladonna for a while but something about it just didn’t work quite the way we wanted it to sound. A year ago I was just playing it and thought this is not right. I went away and we changed the chorus and came back with a really good one and we all felt ‘this is it’. Belladonna probably has a lot more energy in there. It is more punky than some of the other songs. 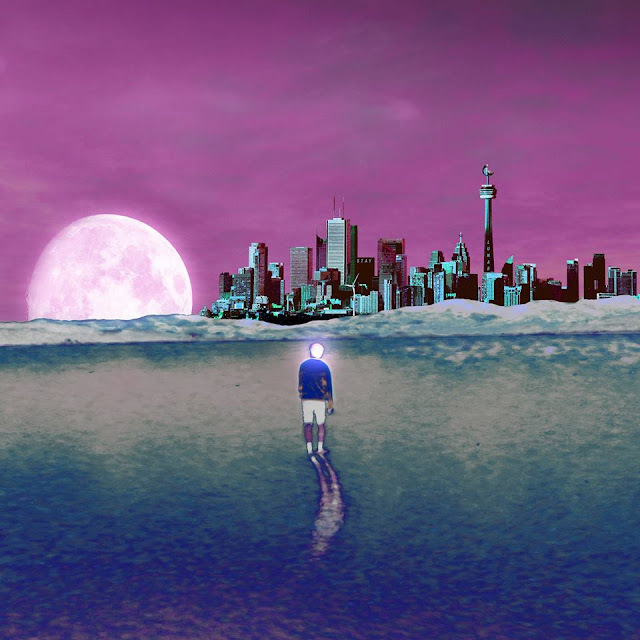 Vocalist and singer Ryan places an emphasis on the band's lyrics and the aspect of storytelling and he talks about influences such as Charles Bukowski, Kate Tempest and John Cooper Clarke as being important. 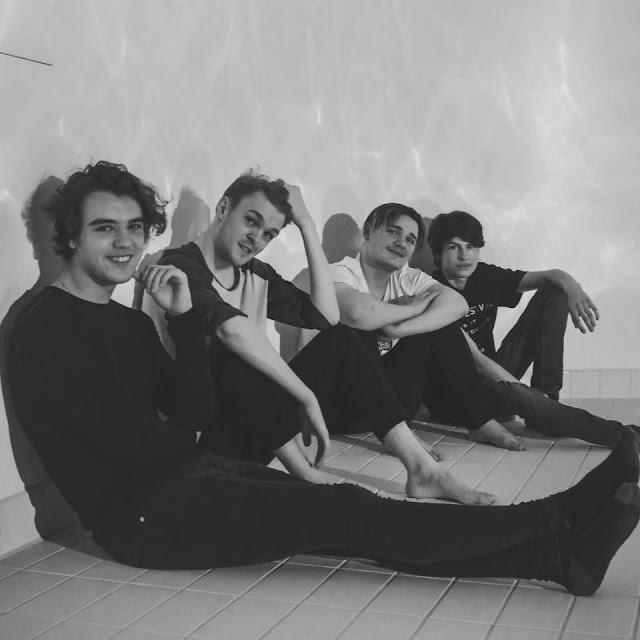 Presently being without a recording deal does not seem to represent a major concern for Lyerr, they would like to focus on recording more music, get to headline a tour and play festivals. They believe this will enable things to happen at their own pace. Samuel: we are not signed but we are on the rise just now. We have been playing for a couple of years and we are still looking for more gig attention and we are hoping to just play as many gigs as we can this year. Soon they return to the studio to record a new EP. This time they will be extending the producer collaboration to also include Gavin Monaghan (The Sherlocks), something which they are excited about. Ryan: we are really pleased, it has been awesome so we are quite delighted to have gone down that route. I think that will bring out a lot of energy. That is what we want, quite big anthemic recordings and hopefully we will get there. It is important to enjoy making music and playing live and the band members appreciate that. James: entertaining an audience is a great. It is about getting the music out there. Work it out and have fun along the way. When you get too serious about things it takes the enjoyment out of it. Rory: some of the venues we are getting to play now are places we have gone to as kids and often thought I would love to play in here one day. We also used to go to Leeds festival, it would be great to get to play that one day. Samuel: as we progress our tunes get better, so the more we write, the better our tunes get, that is how we see it.There is definitely a clear progression, there is graft and all that. Practice makes perfect. Judging by the way things are going for Lyerr there is every reason to believe they are going to get there, they are already on their way to achieving some of their goals.